... Juniata is one of the best liberal arts colleges in the U.S.
of Juniata seniors participated in distinctive hands-on learning. of students who graduate from Juniata do so in four or fewer years. of graduates were employed or in graduate school six months after graduation. of Juniata students were accepted to professional schools such as medical or law school. of Juniata faculty hold the highest degree in their field. Juniata was named an "A+ School for B Students" in the 2018 U.S. News & World Report rankings. The ranking for this section seeks to identify students in institutions whose "spirit and hard work can make all the difference to admissions." Juniata has 22 Academic All-Americans, 58 Conference Championships and eight Division III National Championships. of 40 colleges listed in the new edition of Colleges That Change Lives. In Washington Monthly's 2018 College Guide and Rankings, measuring "economic value students receive." 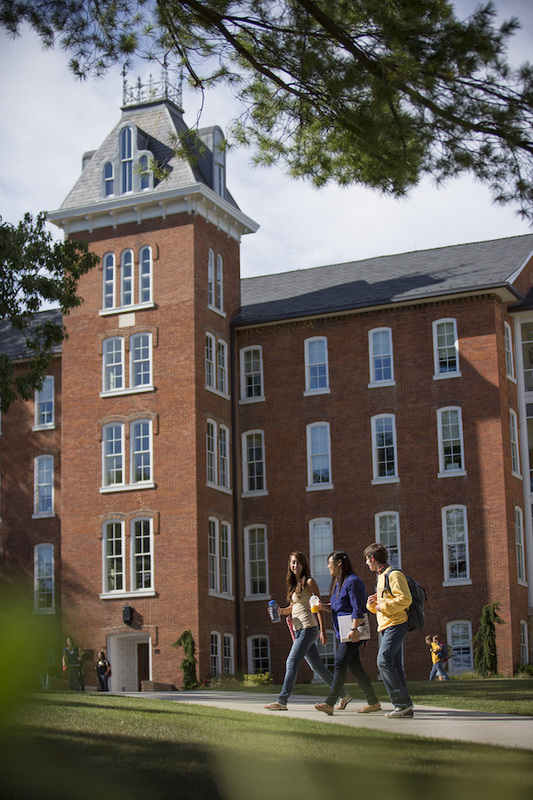 In U.S. News & World Report 2018 rankings for Liberal Arts Colleges. In Liberal Arts Universities ranked by Forbes.com, 2017. In New York Times, 2017 Ranking of Top Colleges Doing the Most for the American Dream.